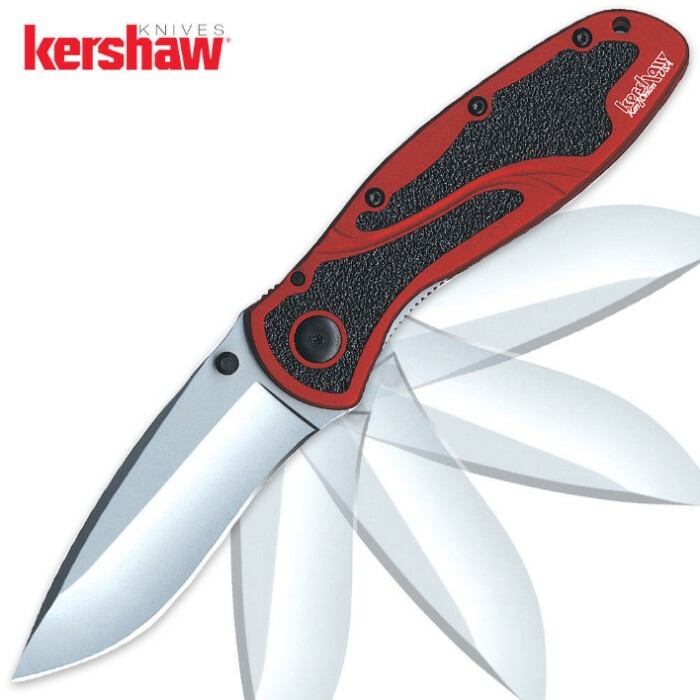 The Blur Red features 3 1/2" 440A stainless steel drop point blade with dual thumb studs for ambidextrous one hand opening, and Ken Onion Speed-Safe assist; and anodized 6061T6 aluminum handle, 4 1/2" closed, with textured "Trac-Tec" inserts, liner lock, and end to end reversible pocket clip. I already had a Black Blur with Tanto, partially serrated blade. I bought the Red Blur because I liked the color contrast on the scales. I bought another Kershaw Blur because i have several assisted open blades but these Blurs are the fastest and easiest opening blades i've ever tried. I carry these knives all the time and absolutely love them. Very sharp, hold edge exceedingly well and are light and thin in the pocket. The BEST of all competitors.